Ok, ok! 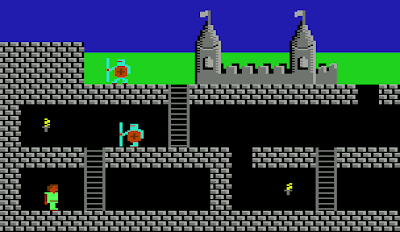 I know that I should have posted a status update on our 16KB C64 game competition at least a month ago, but things have been stupid busy here at RGCD. So, without further delay, let's have a look at the progress made by the entrants so far. 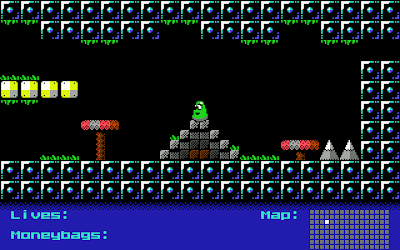 David Eriksson (he of the C64 Spike Dislike port and Driar fame) has returned to working on his tentitively titled 'blob' game, and already the current preview is miles ahead of where he was last year. 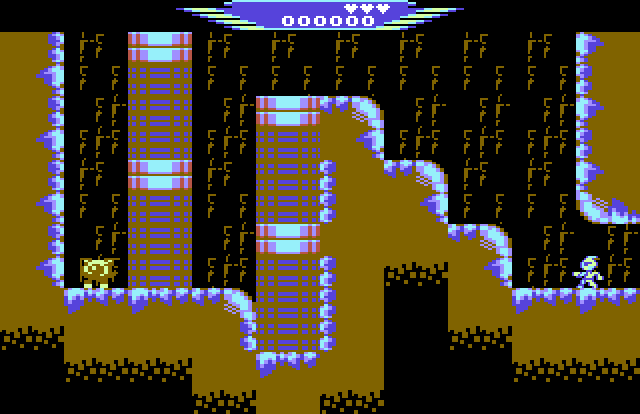 Planned as a huge (for 16KB) metroidvania platformer, this flick-screen game already features a variety of beautifully presented enemies, wonderful animated landscapes, unlockable abilities and even checkpoints! With most of the work done, it seems that there is just the level design left - without meaning to sound too enthusiastic, I have incredibly high hopes for this one! 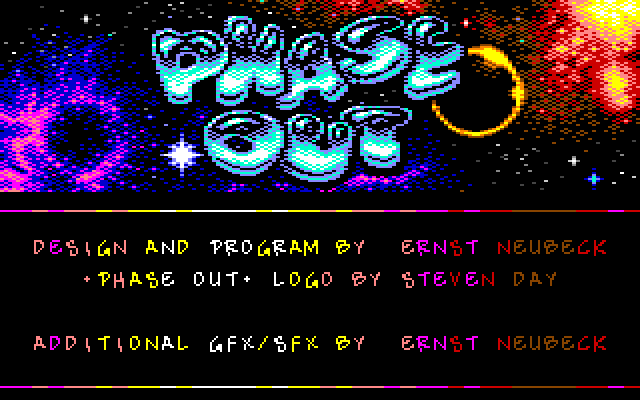 Despite not being listed as a scener on CSDB, Ernst Neubeck is no newbie to the C64 world. 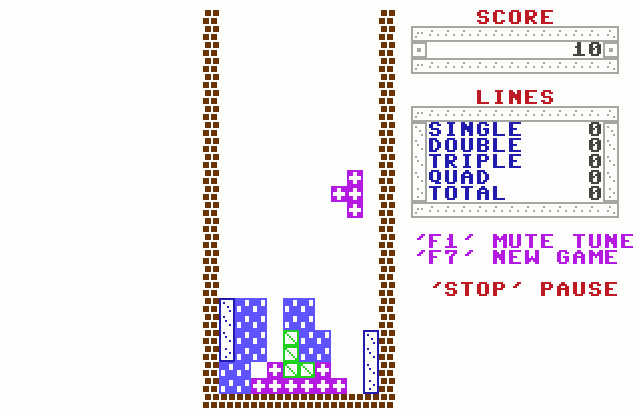 In fact, only a few weeks ago, RGCD's enthusi helped Ernst rescue some of his old code from an ancient floppy disk (a cute little two-player pong game called Flin-Flon). Ernst's entry for the competition is a beautiful puzzle game based on an unfinished prototype (pictured here) and he planning to update the game with brand new in-game graphics, more objects, in-game music by Taxim and title music from Devilock. Hopefully there will be more news and some updated screens of the game soon. Earlier this month, completely out of the blue I received a competition entry email from Geir Straume - a guy I had been trying to contact for some years now, as he was one of the people I worked with on when RGCD started out making C64 cartridges! Anyway, despite being absent from the scene for years, he recently returned and has been busy working on his third Bellringer game. "As I mentioned in my registration, "Bellringer III" will be a horizontal scroller, with better graphics and better gameplay than the previous Bellringer games. I can expand on that a bit; one of my goals is to create more types of enemies - and just as important - SMARTER enemies (I even want to give them some personality). And unlike the previous games; it will actually be possible for the player to KILL the enemies in Bellringer III (not just avoid them). 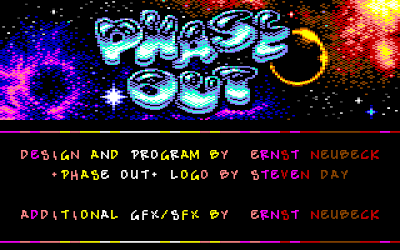 I'm very excited to do some C64 coding again!" 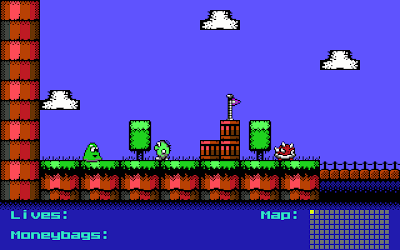 Looks like 2013 will be the year of the platform game then! I'm super excited to have Geir back in action, and will hopefully have some more details to share in the coming weeks. Oh man, this one has me hyped! 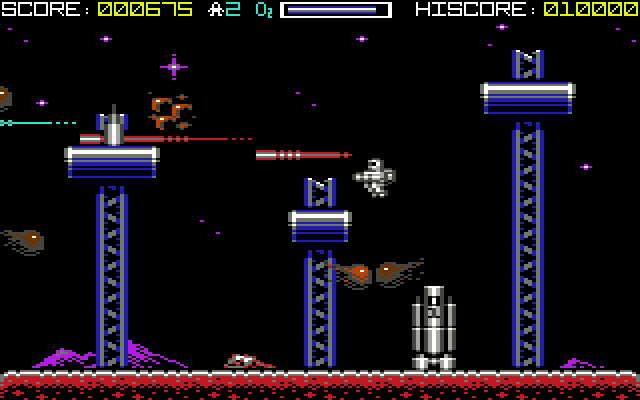 After being pretty silent during last year's competition, Jason contacted me a couple of months ago expressing his interest in entering the 2013 round with his 16KB Cybernoid style shmup. The enemies are clearly placeholder graphics (unless Jason really does have something against the letter E! ), but everything else is looking really nice in the preview version, and I am eager to see the game progress towards completion. 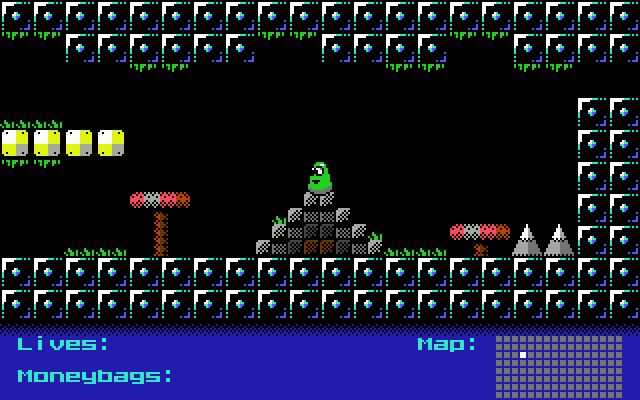 The first of two internally developed entries of this year's competition, new RGCD members John Christian Lønningdal and Saul Cross have been working on their Jetpac tribute for the past few months, with the aim of creating a 64KB retail version and a 16KB build for the compo. 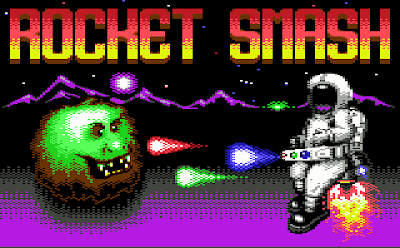 Whilst it may be lacking in originality, the C64 is yet to see a decent Jetpac clone - and Rocket Smash already plays really well. 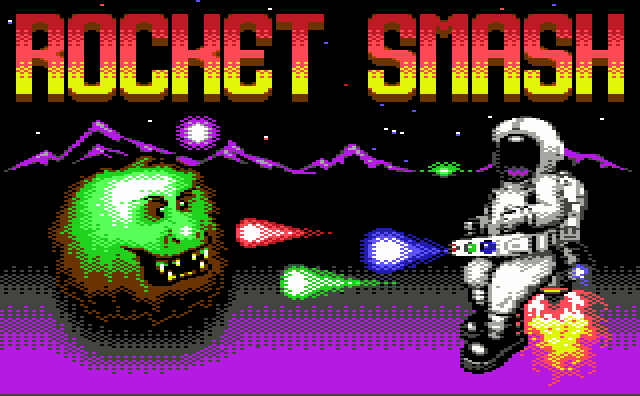 A stunning debut from a new C64 team. 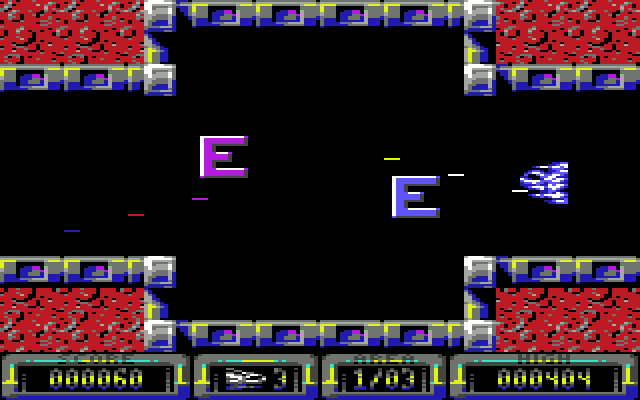 For those who haven't heard of ScrambleRND, the coder of the original PC version (Weibo de Wit) has teamed up with RGCD's code guru enthusi to bring his randomly generated Scramble clone to the C64. 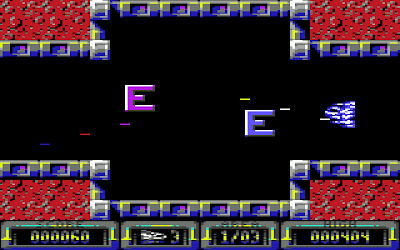 Still at a very early stage, currently the level generating algorithm is complete, and the next step is to complete the multiplexer to support the intense on-screen action. With only a few months of development time left, the pressure is on for enthusi to see if he can beat his 2nd place awarded Assembloids with this innovative tribute to a timeless classic. 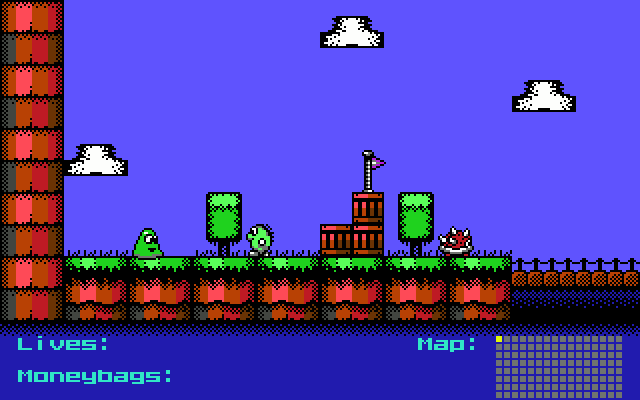 Another platformer, from another new C64 developer! 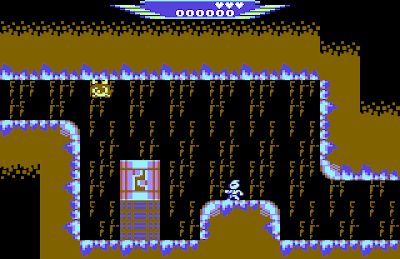 Well, to be fair, Powerglove is much more a run 'n' gun, with the cute hero progressing through stages and blowing up equally cute robots in the current preview. Followers of the Amiga scene may recall Matthias' 1990's work on the Amiga (still available for download on his website) and he has always possessed the ability to craft brilliant little games, so it is really exciting to see him working on the 8-Bit Commodore. The pixel art and animation in Powerglove is particularly outstanding, and I cannot wait to see how this one evolves. A veteran from the old days of the C64 scene, musician Max Hall made a welcome return to the Commodore with his preview of Cosmic Ark earlier this year. 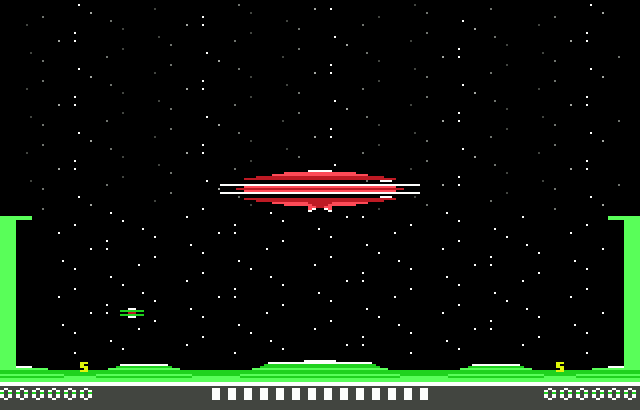 When our compo was announced, he emailed me to announce that he'd be bringing the final version of the Imagic alien-collect 'em up to cartridge. 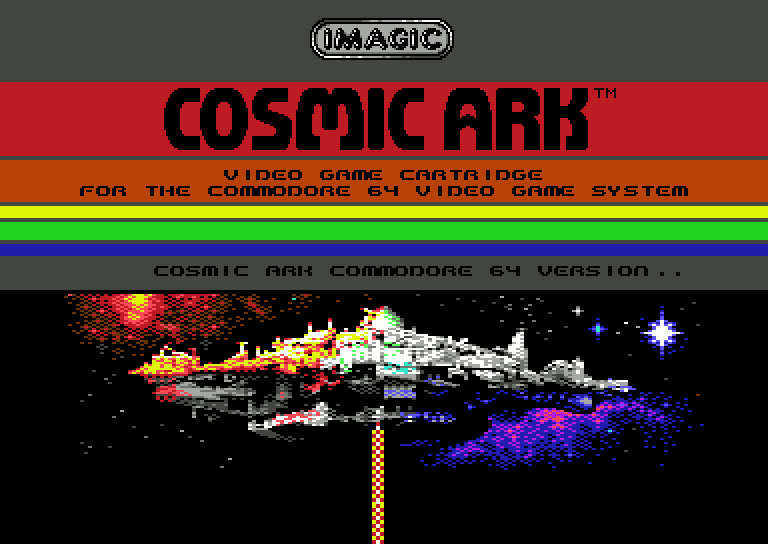 Cosmic Ark is a great example of classic game design and great old-school fun, and if the RGCD compo has had any role in seeing it completed, well, that can only be a good thing! Ok, so I know what this game is, but Paul wants to keep things quiet until he can be sure that his idea will fit within 16KB. 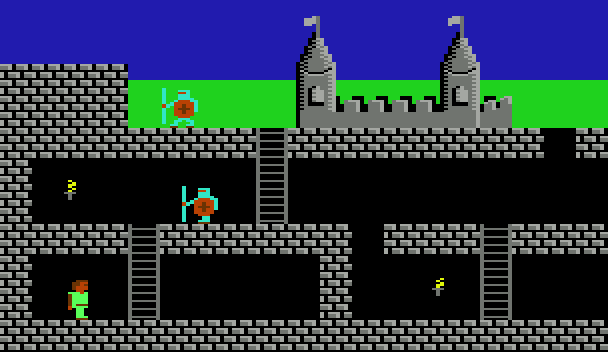 Sure, it's another indie game demake/port, but there is nothing like it on the C64 to date and if he succeeds in squeezing the design into 16KB I cannot imagine it failing to achieve a high placing in the final results on the backing of technical prowess alone. Ok, so here's a thing. 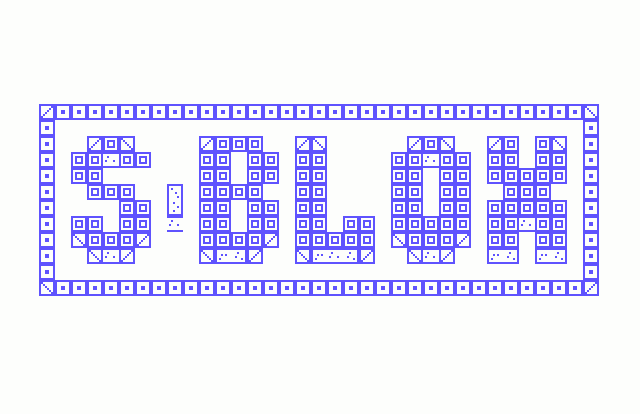 S-Blox is a tetris clone that has been out for a while already, and the developer has submitted it with no plans to enhance it further (he has only one byte of rom space left). This is a shame as the game could be improved further with the addition of an instant drop feature. Anyway, not many points for originality, but congratulations for passing the finish line already! The team behind Space Lords and SpaceChem Nano will be returning for round three of our compo with an as-yet-untitled game. I know absolutely nothing about this one I'm afraid, but hopefully will have something to report in the next update! Wahey! 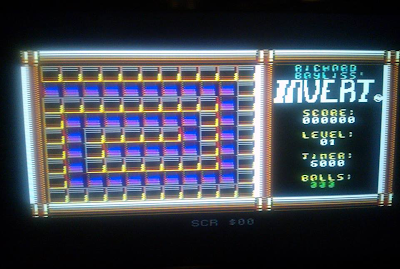 A screenshot of Richard Bayliss' new 16KB game taken ghetto-cam style! Well, as you can see, it's actually just a mock up screenshot and there is no playable game yet, but Richard has high hopes for his project. 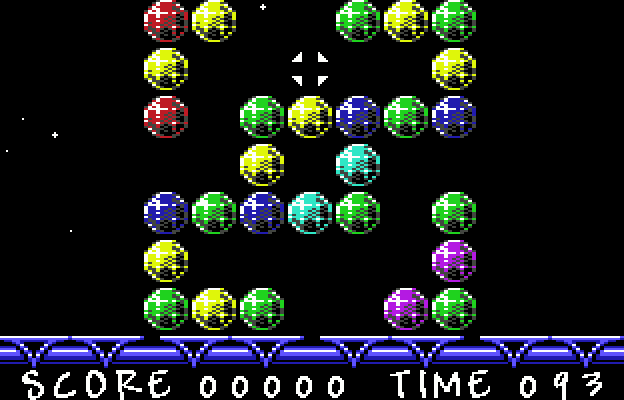 "Invert is going to be a puzzle game in which you control a ball over the floor and invert the black tiles to the correct colour tiles, (consisting of 2x2 chars), but if you move over them again they will invert. Is that all the game is going to be? No, of course not. I have have some pretty interesting ideas in which will enhance the gameplay. There will be arrow tiles, forcing the player to move to a particular direction, also trap switches, in which will open/close traps and a couple of other surprises. The player will be racing against the clock to invert the tiles correctly". Finally, Sos Sosowski, the guy who made Ponk for the Ludum Dare compo in less than 4 hours has registered for this year's compo. The last game of his I really enjoyed (Diesel Duel) despite being little more than a prototype, and with his indie background whatever he enters is likely to be interesting and unique. And that is the end of this update! As always, I'll do my best to keep you informed of the progress of these as we approach the deadline (only four and a bit months to go). All the games look very promising. Good update! Lots of very interesting games there.